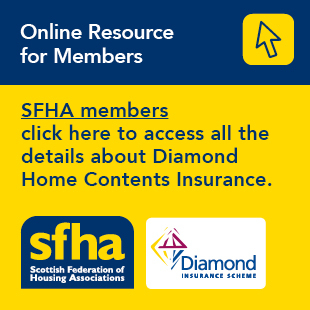 SFHA will be holding two discussion events regarding the Scottish Government's consultation on extending FOI to housing associations in Scotland at the beginning of February. In order to inform their responses, SFHA and GWSF commissioned Linda Ewart to carry out a piece of research looking at the likely impact of extension. This piece of work, along with a survey asking for member views on proposed extension, will be forwarded to all SFHA members in January. To ensure that SFHA represent the views of members in our response to the consultation, we ask that all members please consider and respond to this survey. In addition to this, we will also be holding two discussion events for members regarding the consultation, where Linda will present her findings and we will discuss the consultation paper. Numbers are strictly limited, and as such we will have to restrict this to no more than one attendee per organisation initially. If you would like to attend, please contact astokes@sfha.co.uk indicating which of the two below events you would like to attend. Glasgow (SFHA Office) Wednesday 1 February 2:00 – 4:00 - this event will be held jointly with GWSF and is limited to 40 attendees. Edinburgh (Link HA office, Link House 2C New Mart Road) Friday 3 February 10:00 – 12:00 – this event will be limited to 30 attendees.